The Wiegands: Calming Essential Oils for Kids. Calming Essential Oils for Kids. One of the things I am asked about so often is how best to use oils for little ones. And even more specifically, how to use them to help kiddos navigate big feelings. This is a road every mama walks - how to soothe her littles. 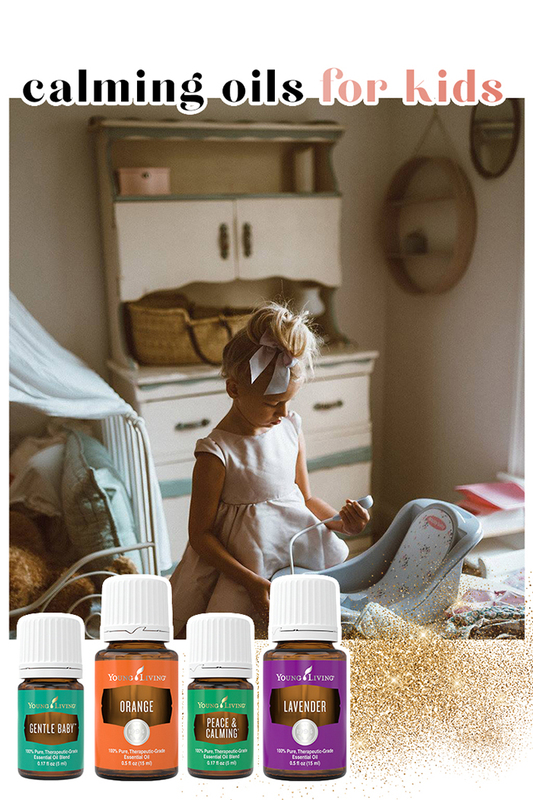 I am so thankful that oils came into my life, because they have been one of the surest ways to bring comfort to my little ones when they experience big feelings. Talk about the best tool for that support! For really little ones, from babies to toddlers, I am obsessed with Gentle Baby. It is an incredible source of comfort for kids. For newer babies, just putting it right on my chest and then snuggling is all a baby needs. It may take some time, or it may work right away, but it definitely helps both mama and baby calm down. Reset, breatheeeeeee. When trying to support kids that are a little bit older, I always reach for my lavender. It’s such a beautiful oil for so many things, but it is especially for those moments where we need a sense of calm. Adding orange makes it even more soothing and smells incredible. I will put both in the diffuser, or rub them, diluted, onto my kids shoulders or along their neckline. The combination of gentle touch and the scent of the oils brings an immediate feeling of calm! Two oils that are amazing for a calm afternoon and evening are Peace & Calming and Peace & Calming II. The first is perfect for promoting a peaceful environment, any time of day, and we especially love using it in the evening and at bedtime. Peace & Calming II does the same, but what makes it so special is that it contains Vetiver, which is incredibly beneficial for those who need help with calm and focus. When their energy takes our kids in every direction, and they need a little extra help, this little oil does the job so well! We love diffusing as soon as we get home from school to help transition into doing homework and setting the tone for the rest of the day together. Nighttime can be overwhelming with so many littles running around and wanting snuggles and love… We need all the help we can get to get these active minds and bodies to settle and this is where our Dream Catcher oil is a DREAM! It supports and calms and is the perfect addition to your diffuser or bedtime roller for you and your babies. We ADORE this one in our diffusers at night. The truth is, there are SO many oils that can help the whole family find calm when they need it most, and for that I am seriously grateful! For more info, read here!